We see it in the news several times a year – a football player dies during summertime practice. Here in Jacksonville, it happened in 2008 when a 12 year old boy died during his second day of Pee Wee League football practice. Most of these incidents result from the effects of the combination of dehydration and exertion. Athletic programs can face wrongful death lawsuits for overexerting and not providing proper hydration for the players. In 2008, a football player for the University of Central Florida died after collapsing during drills due to complications from sickle cell disease. Dehydration worsens the complications that can be caused by sickle cell disease. The parents of the player brought a wrongful death lawsuit against UCF, alleging the school was negligent and that such negligence caused his death. The jury agreed and awarded each parent $5,000,000.00. A federal law designed to prevent accidental deaths due to pool drains is not working out as planned. 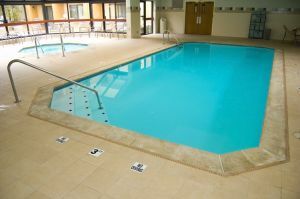 Congress passed the Virginia Graeme Baker Pool and Spa Safety Act in 2007 to help prevent swimmers from getting accidentally trapped by pool drains. Just prior to Memorial Day, more than 1 million pool drain covers designed to fix the problem were recalled. This was the latest in many setbacks for the law, which was supposed to award more than $4 million in grants to states that complied with federal pool-safety codes. So far, no states have earned this distinction. The law’s proponents argue that the Consumer Product Safety Commission should have required automatic shut-off switches on pool drains. Opponents say the industry is too vast to police, citing the high cost of inspections and the high number of residential pools and spas (about 16 million) in the country. Unfortunately, Florida’s warm weather and high number of residential and commercial pools makes it a state with a high number of accidental drownings. According to the International Journal of Acquatic Research and Education (IJARE), more people drown in Florida each year than in any other state except California. For every 10,000 residential pools in a county, 2.4 additional deaths can be expected over three years, accoding to the IJARE. Florida has the highest drowning rates for children age 1-4 according to the Centers for Disease Control and Prevention. The drowning death rate per 10,000 poools in Duval County is 1.72. To learn more about how to prevent accidental drowning, visit the CDC’s website. Earlier this year, the Florida Legislature enacted a law that will make it harder for people suffering personal injuries as a result of slip and falls to make a recovery. Slip and fall accidents often involve the presence of a liquid on the floor of a store or other premises open to the public. A customer that slips as a result of a substance on the floor often has no way of knowing how long the substance was on the floor or whether the store employees were aware of its presence. Traditionally, Florida law required a plaintiff prove that a business either knew of the dangerous condition that caused the fall or prove that it existed for a long enough time that the business should have found it and eliminated it. However, in 2001, the Florida Supreme Court removed that burden from plaintiffs in the case of Owens v. Publix Supermarkets when it ruled that the existence of a hazardous substance on a floor meant the owner failed to maintain the premises in a safe condition. The legislation essentially reverses the Supreme Court decision. Now, plaintiffs will again have to prove that a substance that caused a fall was either known to the store employees or that it was present for a sufficient length of time that it should have been discovered and removed prior to the fall. As Jacksonville injury lawyers, we have handled numerous personal injury cases resulting from falls, including falls resulting from substances on floors, stairways that have no handrails, staircases without uniform riser or step sizes, and the presence of items on a floor which cause a person to trip. Often fall cases result in surprisingly serious personal injuries. We have handled fall cases causing injuries including: a broken femur; a broken fibula; a froken maxilla (jaw); broken elbow or radial head; herniated vertebral discs; shoulder injuries requiring surgery; and ligament injuries to the knee. This afternoon, a fire broke out in an Arlington apartment complex in Jacksonville, Florida. The roof collapsed killing one person and causing personal injuries to two others. Jacksonville Fire and Rescue responded and called it a three-alarm fire. The cause of the fire has not yet been reported. Fires can lead to personal injury and wrongful death cases if the fire was caused by the negligence of others. In an apartment complex, such negligence could result from improper wiring, lack of sprinkler systems, lack of fire extinguishers or propane gas leaks. As Jacksonville injury lawyers, we have handled cases involving personal injuries resulting from fires. Burns can cause some of the most serious and life altering injuries possible. It is important that people always make sure they have fire extinguishers on hand and that they have a plan of escape in case of fire. Persons living on a second or higher floor should have a second way of leaving the building in case a stairwell is engulfed in flames. We have seen burn cases resulting from liquid propane (LP) gas, faulty wiring, cooking, water heaters set too high, and space heaters. The mother of a Jacksonville woman filed a wrongful death lawsuit against her landlord alleging that the landlord’s failure to provide adequate security lead to her death. According to the suit, the woman’s back door was broken and she repeatedly asked the landlord to repair it. In September of 2007, two men kicked in the door and one of the men shot the woman. A landlord has a legal obligation to provide a secure home with properly functioning doors and locks. According to the mother, her daughter had complained many times about the broken door. The defense of the case is focused on the notion that the intruders were targeting the woman and that no reasonable degree of security would have prevented them from entering the house. These types of cases are commonly referred to as “premises liability” cases. Premises liability cases are founded on negligence, meaning that the claimant must prove that the landlord did something wrong. In other words, a landlord is not responsible to pay damages for personal injury resulting from a crime or accident just because it happened on the landlord’s property. Our Jacksonville law firm recently handled a case where a teenage girl was seriously injured at camp. At enrollment, her mother signed a form that provided that the camp would not be responsible for any injuries, no matter how negligent it might be in causing the injuries. While we were able to convince the Judge in that case that the agreement was unenforceable because it was poorly worded (it only said that it waived the parents’ claims, not the child’s claims), for many years these agreements were enforceable in Florida. Parents often find themselves asked to sign a release of any personal injury claims before their children participate in potentially hazardous activities like go-cart or motocross racing, horseback riding, or scuba diving. Typically, the releases are little more than preprinted forms presented to the parents without any discussion of the actual risks and dangers their children may face. However, last week the Florida Supreme Court ruled that parents cannot waive liability on behalf of their children by signing such releases. The ruling was issued in a Florida accidental wrongful death case arising from the death of a 14-year-old boy who died after attempting a jump on an all-terrain vehicle (ATV). Originally, the trial court dismissed the lawsuit because the boy’s father signed a pre-accident waiver. The Supreme Court’s decision will now let that suit proceed and will send a powerful message to businesses to take care when catering to children. One type of danger has been outlawed for public pools. Congress has enacted a law which requires that all pools open to the public be fitted with new equipment to prevent drain suction from trapping children under water. The deadline for complying with the new law is Friday, December 19, 2008. The National Swimming Pool Foundation says that about eighty percent of public pools in the United States do not comply with the new requirements. It is unfortunate that children may be injured in the future for what is now clearly both a foreseeable and preventable tragedy.